Peebles Carpets are pleased to offer a wide range of carpets and flooring products which are all available at competitive prices. These can be viewed in our Peebles carpet showroom or alternatively Peebles Carpets can offer a home choice service where from the comfort of your own home you can select your next carpet or floor covering – get in touch if you would like to arrange a home visit. 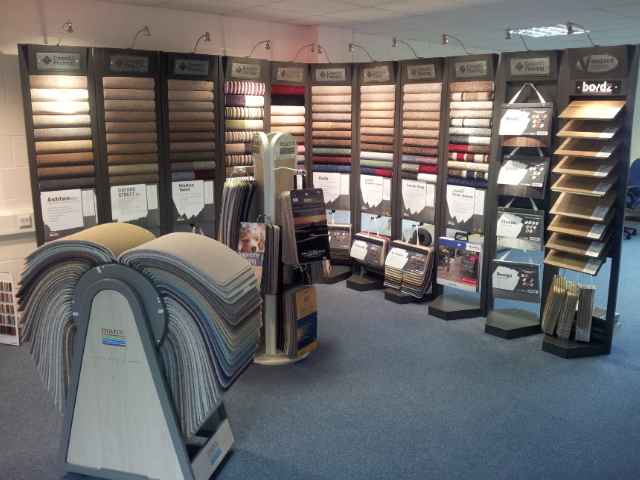 Why not look at Peebles Carpets offers and promotions page for our latest special offers? Peebles Carpets can provide everything for your new flooring from a free local home measure to a complete supply and carpet installation service. Peebles Carpets can uplift and remove your existing carpet or flooring for a small additional charge. Come along to our carpet showroom in Peebles to find out more – with plenty of free car parking at Cavalry Business Park and choice of products make your buying experience a stress free process. Directions and opening hours are detailed on our Peebles Carpets Showroom page, if you have any other questions then please get in touch and Robert will be pleased to help.